If there’s one thing that seriously pisses me off about tea articles in the mainstream media, it’s that they’re basic. I mean, just as fiction has its ‘Seven Basic Plots‘ most of the tea articles you’ll read fall under one of these types, especially if they’re published in a tabloid of British origin. *I hope you are critical of the media. You should be. Okay, I get it, not everyone knows that tea is from the one plant, Camellia sinensis***, and that the ‘colours’ we associated with tea are due to the different kinds of processing methods****… but hell, do we really need this whole article again, just with a recent date stamp? What’s wrong with linking to a Tea 101 article and then using your real estate and clout to write something new and interesting about tea? Double thumbs down if you misuse ‘oxidation’ and ‘fermentation’. Oh, and it’ll more often than not feature an interview with a tea ‘expert’ who is likely to be ‘an owner of a tea business’ rather than ‘someone who actually knows something about tea’. Good try, but not all tea business owners know about tea (case in point). They know how to sell tea, but their understanding may be quite limited and your writer isn’t going to know their limits if they don’t know much about tea either. ****Ask me about purple tea, though. The headline goes something like this: Tea expert says milk-after is wrong or Tea master: ‘You brew your tea too hot’. Look, chances are there’s some merit there. I mean, milk-after is wrong (do not @ me) and your tea probably is too hot but let’s just label this article what it is: clickbait. Because tea drinkers are an ardent lot and extremely defensive about how they take their drop and will comment and share ’til the milkful cows come home arguing for their way. If that’s the way you like your tea, you’re brewing it right. End of. Even if you drink it with milk and even if you put the milk in after. There’s a truckload of research being done on tea’s effect on various diseases and conditions as well as measuring tea drinkers against non-tea drinkers (or other beverage drinkers) and it’s really nice to get headlines like: ‘Study Suggests People Who Drink Tea Are More Creative’ (referencing this study) but for the most part this is an effort to create legitimate clickbait, because science! First of all, a lot of the studies have caveats. Everything from tiny (nay almost bloody statistically insignificant) sample sizes such as the 50 people studied for that creativity paper, to perfectly outrageous abuses of tea (for example microwaving a teabag to activate the caffeine, theanine and polyphenol compounds) means that what’s being studied is actually not a very good reflection on how most people might drink their tea and possibly benefit from it. And don’t get me started on tea extracts. There’s also a second type of ‘because science’ tea article, and that’s the one where spurious claims are made about the benefits of tea in order to push a product. If I had a dollar for every thinly disguised puff piece for a ‘skinny tea’ type product that selectively quotes research or references a study without actually understanding the results, I could get another tea subscription. File this one under ‘life hacks’ and also ‘hackneyed’. Did you know you can use cool, used teabags to reduce the redness of swollen eyes? Carpet deodoriser, sunburn remedy, facial scrub – is there anything tea can’t do? Yes, stop the slew of this overused topic, it seems. Every now and again someone will decide to write a listicle on the # things you can do with tea and it will be eerily similar to all the other listicles about the # things you can do with tea. Half the problem is that most of the hacks involve teabags (tea! in a bag! can you believe it?!) and the other half is that there have been no original hacks since the beginning of the worldwide web so everything you see is just a transposition of advice columns from women’s magazines with maybe a slightly modern application ie instead of using a teabag as a carpet deodoriser, have you thought about using it as a gym bag deodoriser? Wake me up when there’s a genuinely new use for tea, okay. Did you know all types of tea – white, green, black – are from the same plant? 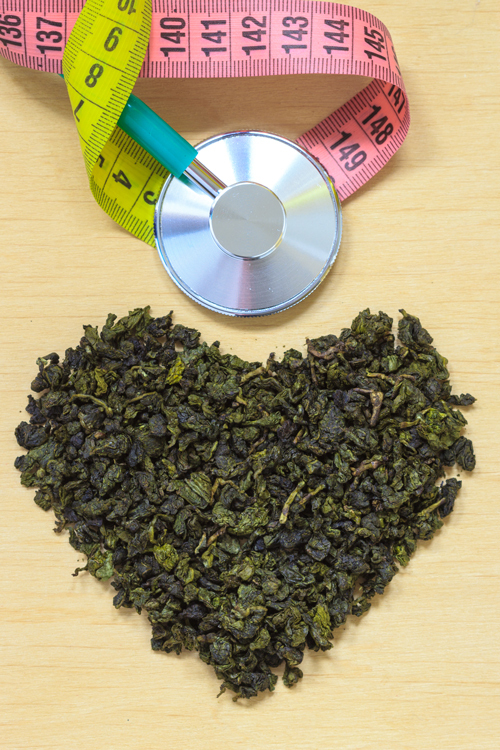 Did you know tea was discovered by the Chinese Emperor Shen Nong? Did you know the teabag was invented by accident? This is kind of like a Tea 101 article except with the hint that it’s going to contain really entertaining bits of tea-rivia. In reality this is the tea article for people who have never Googled ‘tea’ before. I hate the assumption that the reader wouldn’t know about these standard facts (and myths) almost as much as I hate the absolute baseness of the trivia selected, as if the writer couldn’t be bothered reading past the front page of Google or the first chapter of a tea book. The one thing I didn’t know about tea was why a gajillion versions of this article exists when the other gajillion minus one already do. What’s your least favourite type of tea article? This entry was posted in advice and tagged science, tea 101. Bookmark the permalink.